Call-out boxes are a good way to highlight a particular idea within a page. To place a Callout Box in a page, insert the following code into the page HTML code. There are four types of boxes - narrow, wide, full and 2-column. Here is an easy Callout Box generator tool. Note: All elements, i.e. images, text, etc. should be placed within a header or paragraph tag when using a Callout Box. 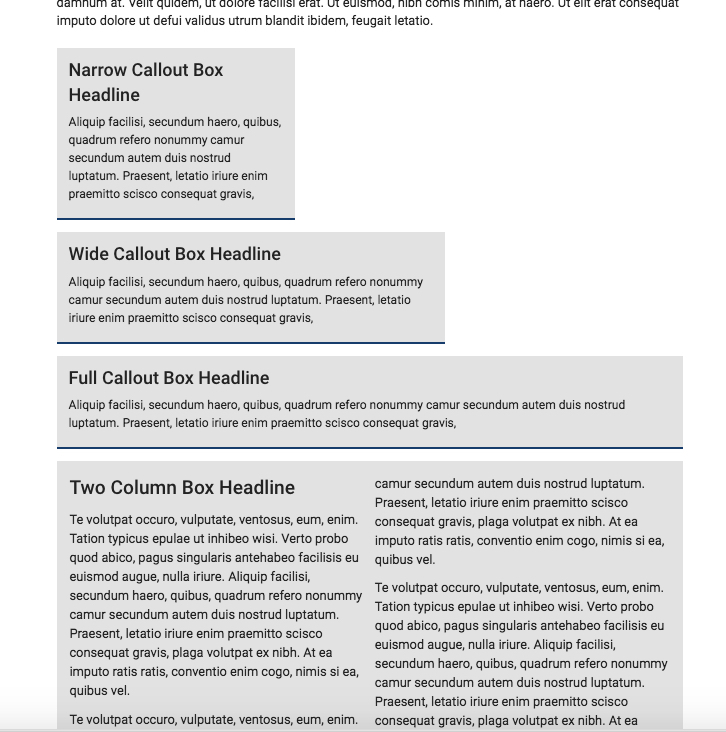 If an image is placed only between the <div></div> tags and not placed in a paragraph tag the image will stretch to the width of the Callout Box.